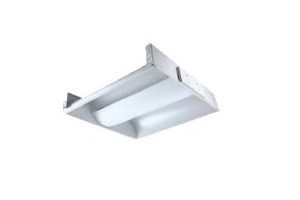 The L-DID-22-36W-39-LED is a linear LED recessed direct/indirect lighting fixture with an attractive center basket designed for commercial, industrial, and retail environments. Rated at 36-watt power consumption, the fixture provides highly efficient lighting with extreme power saving capabilities. The fixture profile features a white polycarbonate diffuser to provide a higher lumen, soft, balanced illumination for a contemporary appearance and comfortable, low glare light. Note: Actual performance may differ as a result of end-user environment and application. All values are design or typical values, measured under laboratory conditions at 25 °C. Specifications subject to change without notice.